One of Brian Lewis’ valued Scottish customers picked up his Churchillian Highland Doublet today. We can report our customer was very happy with his final fitting. 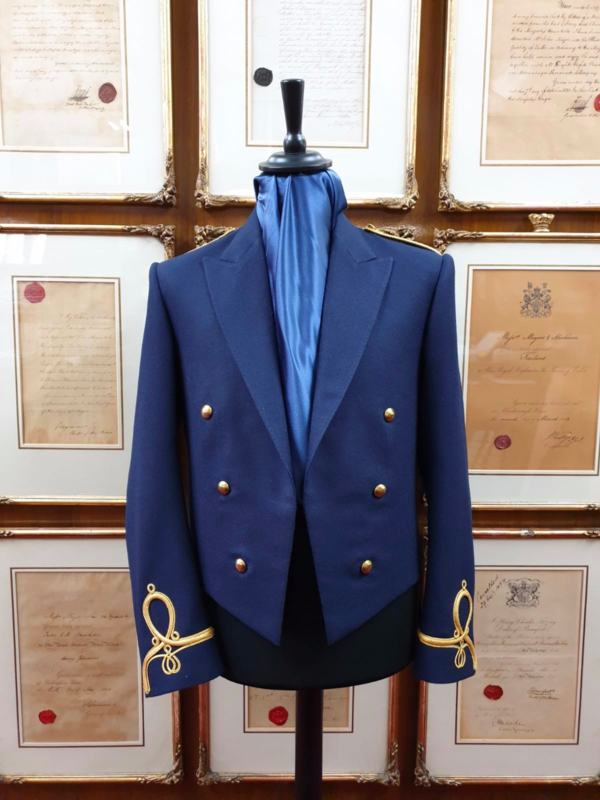 Our regular readers will recognise Brian’s Churchillian design seen recently on two bespoke smoking jackets seen here and here. 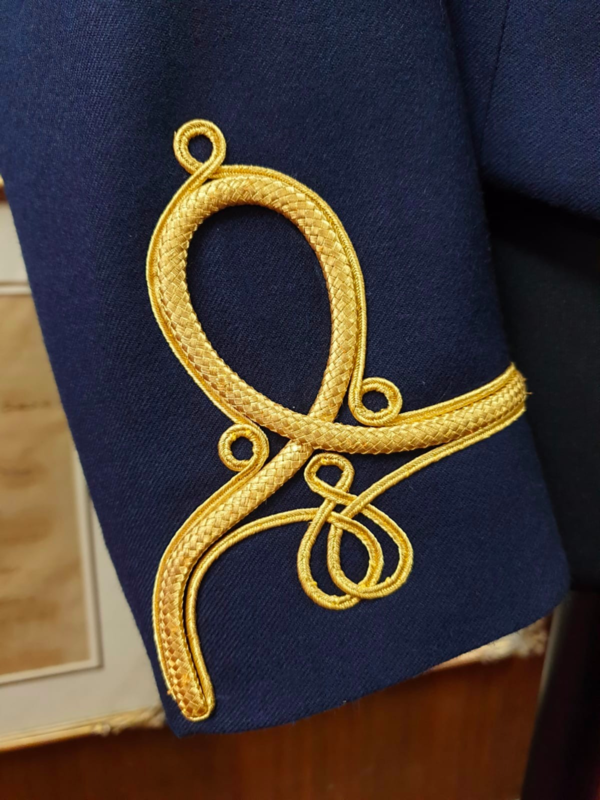 This time, however, our customer requested this unique design on a Highland Doublet jacket. It means this jacket is not only striking with its gold braiding on blue, it’s also one of a kind.